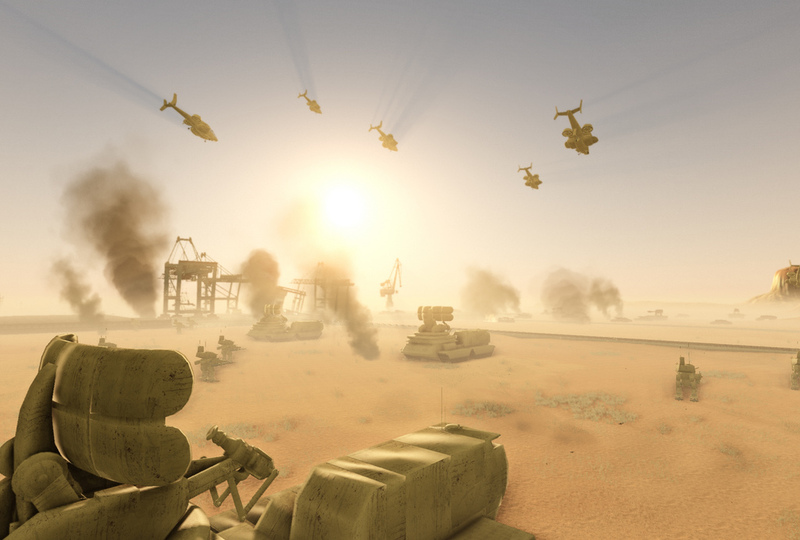 We talk to the development team of the Tiberian Genesis mod, a Tiberian Sun total conversion mod for the CryEngine 2. Genesis2001: I’ve done PR work for CnCFPS about a years ago and I recently joined. Jack: We started in Operation Flashpoint. The mod was already completely playable in its Operation Flashpoint days, only the engine had problems handling our level of detail and the mech-system. Incognito: Joined the team some 6 months ago as a modeler – posted a project I’ve been working on: the Hover MLRS, and they were quite impressed I guess and they asked me to join. So why the CryEngine? And not any other engine like let’s say the Unreal Engine? Genesis2001: Unreal Engine is great. But we chose the CryEngine because it’s less cartoony and has amazing modding capability. With the new CE3 SDK released, we plan on eventually heading that route. However, because it is a lot of work, and we want to get something out to our fans, we’re going to stick with CryEngine2 as a mod for Crysis Wars for the time being. We’ll follow in Renegade-X’s footsteps and stay a mod, build up our amazing content, then port to the newer, better licensed engine. Why Tiberian Sun as a mod-topic? 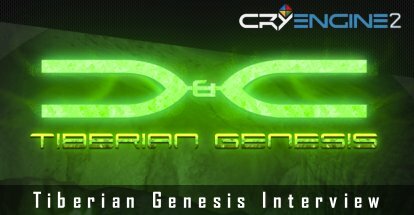 Genesis2001: There aren’t a lot of Tiberian Sun mods/games out there. Tiberian Sun represents the better games of the C&C series. Jack: Big fans of the game. Familiar with C&C Reborn? Have you guys planned anything together? How much attention has the Crysis community paid to your mod? Genesis2001: Our primary focus was on the C&C community. Jack: Not much yet, because our PR section simply failed to look into Crymod. but this will change now, the team is in a complete restructuring process at the moment. Tell me about recent developments of the project. What’s new? Genesis2001: The gameplan right now is to pump out an alpha. Progress is just slow on the mod right now without much help. Are we going to see CABAL? Jack: In the current design plans he is not included, to say it like that. first we need all of the other models. I’m trying to force the members to finish Techlevel 1. But we would definitely add this, if the community wants them. So what is done already? in terms of infantry/vehicles? 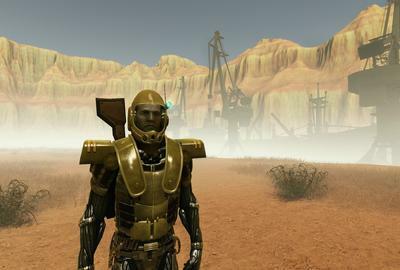 Jack: Only the Tiberium and some vegetation is really “finished”, Infantry had a really nice beginning and then the modeller lost all of his work due to a HDD crash. We still have a very early version though, But there isn’t a character artist at the moment. Is it hard to find people for the mod? Genesis2001: We’re looking for 3d Modellers/Animators, Programmers (C++ and LUA), Texture Artists, Testers. There isn’t much of a need for an extensive amount of testers right now, but we’ll announce something when we need a good majority of testers. Incognito: The team had its ups and downs. Be it real life or lack of motivation… I’m sure you hear that one all the time, right? These past few days we got a few mails concerning recruitment, if all goes well, we’ll be great. What are we going to see in TG in terms of gameplay? Incognito: We’re aiming to bring a visually beautiful, immersive, authentic remake of the old Tiberian Sun. It will contain both elements from the old RTS and the newer Renegade game – you will be able to play the soldier, buy your own armour and create squads to outmanoeuvre (and outgun) the enemy, as well as the Commander who will be responsible for building and fortifying the base, make sure the economics are right and keep an overview of the battlefield to support your “troops”. Pure RTS mod in view as well. Will we be seeing any singleplayer? Jack: If we get someone who will write a story for us, why not. He looked down, and saw he had absorbed much of the glass that had flown toward him. He was bleeding heavily, but looked to the sky to determine how successful they had been in deterring the Orcas. He thought of his father, and that oh so long ago trip they had taken together. He saw the warmth in his face, and love in his eyes in a similar sunset from that day. He was going home to see dad, and he was happier than he had been for a long time…………..
A flash of light, and a vision unintelligible, and un-rememberable. A sizzling sound, and then a female voice. A scene appears. A white room, abandoned except for a lone scientist hunched over a desk of components, and a touch-screen PC. The picture is tinted blue, and a HUD readout is in the bottom right of the field of vision. It simply states: “Operational status: 30 %”. He then walks to the PC, and taps the screen. A different mechanical voice sounds. It comes from him. I’m skipping parts, there’s more of course. But you get the point. What do you think? Jack: Wow, sounds decent. hmm, with CE2 it would definitely be possible to create something like that. With some luck, showing this to the other developers, might change our development plans. Incognito: This alone is great and immersive. Yeah, I’d love to read the whole part.